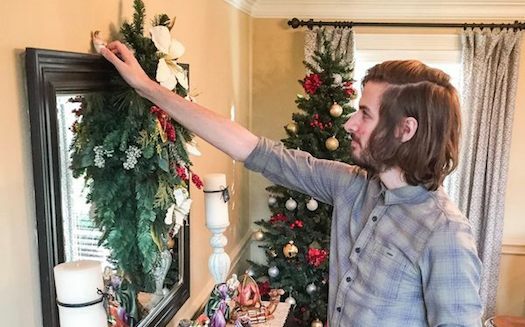 It’s that time of year again which means Collin (now 19 and a freshman in college) is deciding where baby Jesus should be placed in the nativity scene. This year, the Christ Child is getting a birds eye view of the nativity! Godspeed Collin. Hello Empty Nest. ingray on Slurp…Is That Saint Peter Over There? © 2015, Doug Ausbury. All Rights Reserved.